Our team of agency and organizational experts work tirelessly to make a positive impact on the lives of individuals with developmental disabilities. The My Money Program is your resource for learning more about money, budgeting, saving and the services that are available to help you. The Agency for Persons with Disabilities works in partnership with local communities and private providers to assist people who have developmental disabilities and their families. The agency also provides assistance in identifying the needs of people with developmental disabilities for supports and services. The Arc of Florida is a nonprofit organization whose mission is to improve the quality of life for persons with intellectual and developmental disabilities. The Arc of Florida works with local, state and national partners and advocates for people with intellectual disabilities, autism, spina bifida, cerebral palsy (CP), prader-willi syndrome and other developmental disabilities to be fully included in all aspects of their community. The Governor’s Commission on Jobs for Floridians with Disabilities was created by Executive Order 11-161 to advance job and employment opportunities for persons with disabilities in order to help those individuals achieve greater independence. Disability Rights Florida is the statewide designated protection and advocacy system for individuals with disabilities in the State of Florida. Disability Rights Florida is a not-for-profit corporation that has authority and responsibility under eight federal grants and their services are free and confidential. The Florida Alliance for Assistive Services and Technology, Inc. (FAAST) serves Floridians with disabilities by providing free access to information, referral services, educational programs, and publications in accessible formats on topics such as disability rights, laws and policies. FAAST also provides assistive technology device loans as well as funding opportunities for assistive technology. The Bureau of Exceptional Education and Student Services (BEESS) administers programs for students with disabilities. The mission of exceptional student education in Florida, a committed alliance for the development of the unique gifts of each exceptional person, is to ensure the achievement of each and every individual’s extraordinary purpose by expanding opportunities through collaboration of families, professionals, and communities who guarantee the highest expectation and individual success. The Florida Developmental Disabilities Council helps plan individual and family-centered supports for persons with disabilities in Florida. The Council also guides the development and administration of services for people with developmental disabilities by planning and funding research, innovations and programs designed to improve the quality of their lives. 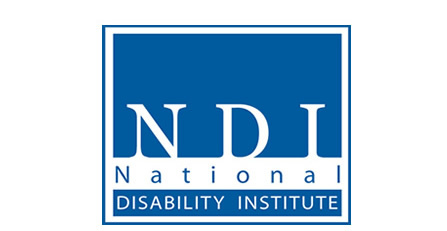 The National Disability Institute (NDI) is a national nonprofit organization dedicated to building a better economic future for people with disabilities. The first national organization committed exclusively to championing economic empowerment, financial education, asset development and financial stability for all persons with disabilities, NDI affects change through public education, policy development, training, technical assistance and groundbreaking initiatives.